Arthur Murphy (1727-1805) was a barrister, journalist, actor, biographer, translator and playwright of Irish origin, raised and lived in London. Arthur Murphy was one of the most popular comic dramatists of the second half of the eighteenth century, from which he made his fortune. He occasionally used the pseudonym, Charles Ranger. Murphy was a favourite of society, a guest at noble houses, a man much respected and courted. As Henry Thrale's oldest and dearest friend, it was he who introduced Samuel Johnson to the Thrales in January 1765 and was well liked by Hester Thrale. 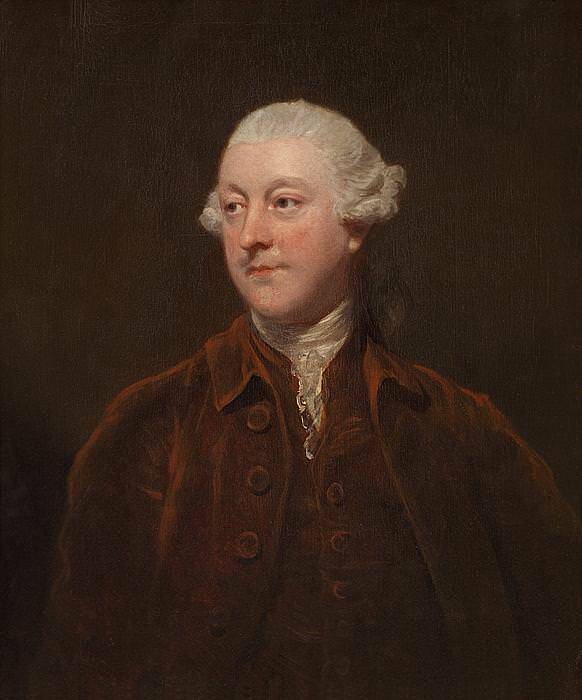 He was also friends with actor Samuel Foote, Lord Loughborough and had a long standing - but professionally argumentative - artistic partnership with actor David Garrick. He was born at Clooniquin, County Roscommon, Ireland on 27 December 1727, the son of Richard Murphy and Jane French. Before he was two years old his father died at sea, and he then lived at George’s Quay, Dublin. His mother became dependent on her brother, who moved the family to London in 1735. In 1736, aged 9, Arthur was sent to Boulogne, in France, to stay with his maternal aunt, Mrs Arthur Plunkett. When her health failed in 1738, he remained in France and was sent by his mother to the Jesuit College for English Catholics at St. Omer, under the name of Arthur French since English law prohibited the education of English children at foreign Catholic schools. There he studied for six years, including Greek and Latin classics, the latter of which he put later used in his plays and translations of Sallust and Tacitus, among others. When he returned to London, his uncle Jeffrey French intended to employ him in trade, but upon discovering that he knew no arithmetic in spite of his education he sent him to Webster's Academy to learn mathematics, accounting, and bookkeeping. About this time he also seems to have become engaged to marry a lady whose name remains undiscovered; this lady died early in 1754, and although his name was later linked on long-term bases with several prominent actresses, Murphy never married. He lived with his mistress, Miss Ann Elliot, uneducated girl of natural abilities whom he brought on the stage; he wrote her biography (1769); and transferred her money to relatives at her death. In 1747 Murphy was sent to Cork, Ireland, to serve as an apprentice to the merchant Edmund Harrold. At first he was unhappy with both the people and the country, but he was introduced into society and eventually became reconciled to both. In spite of his having received the majority of his formal education in France, it was during his time in Cork that he developed a mastery of the French language. In April 1749 he returned to London, having refused to sail to Jamaica on his uncle Jeffrey French's orders, and as a result, was disowned and disinherited by his uncle. From then until the end of 1751 he worked as a book keeper in London banking house, Ironside & Belchier1, hoping to reconcile his uncle to him through his diligence, but the hoped for reconciliation did not come, and he left the bank, apparently intending to make his living as a writer. Aged 27, Murphy began his connection with the stage, being engaged to act at Covent Garden for the 1754-1755 season. His first role was Othello to Lacy Ryan’s Iago and George Ann Bellamy’s Desdemona on 18 October 1784. Apparently successful, he performed eight other roles there during that season. During the 1755-1756 season Murphy acted with the company at Drury Lane, his second and final year upon the stage. Throughout his life he appears to have regretted having ever been an actor. These essays constitute the best journalistic dramatic criticism of the eighteenth century. Early in 1754 he submitted his first dramatic work, a two-act farce entitled The Young Apprentice , to David Garrick for production at Drury Lane. This play initiated the first of many disagreements between Murphy and Garrick concerning both the content and the scheduling for performance of Murphy's plays, Murphy usually wanting a performance date earlier than suited Garrick and Garrick procrastinating on the date by requesting changes in the next of the play. As a result Murphy withdrew his play from Garrick's consideration, an action he would take several times during his career as a playwright, and the play was not performed until 2 January 1756 under the title The Apprentice. His plays were mostly farces; the most well-known being Grecian Daughter which was first performed at Drury Lane on 26 February 1772, and his most critically acclaimed being Know your own mind, which was written in 1760 and first performed at Covent Garden on 22 February 1777. Modern critics generally agree that in Know Your Own Mind he wrote a play that it equals or betters any other written by his contemporaries. The Englishman from Paris, 1756. The Upholsterer: or What News, 1758. The Orphan of China, 1759. The Way to Keep Him, 1760. All in the Wrong, 1761. No One's Enemy But His Own, 1764. What We Must All Come To, 1764; also known as Marriage à-la-Mode, Conjugal Douceurs, or Three Weeks after Marriage. The Choice, 23 March 1765. The School for Guardians, 1767; abridged by Thomas Hull as the comic opera Love Finds the Way, 1777. News From Parnassus: a Prelude, 1776. K_now Your Own Mind,_ 1777. Early in 1762 he completed Henry Fielding's Works, for which he wrote an essay on the life of the author. This was almost universally praised by contemporaries and was reprinted for nearly a century. Murphy is also renowned for two other later biographies: his 1792 Essay on the Life and Genius of Samuel Johnson and his 1801 Life of David Garrick. Late in life he translated the works of Tacitus, an edition that has been reprinted through the twentieth century. It is notable for its close mimicry of Tacitus' Latin style, which is usually lost in English translations. Murphy took an action that was to have a substantial negative effect on both the public and the critical reception of his subsequent plays: he began to write a political paper called The Auditor, which supported the unpopular administration4 of Prime Minister John Stuart, third Earl of Bute. Murphy issued a paper called The Test5, which supported Henry Fox against the government of William Pitt.6 Fox seems to have criticised each issue prior to publication, and when Fox received his sought-after office of Paymaster of the Forces in 1757, publication of the paper was suspended without its ever having become widely known that Murphy was its author. During the period of its publication The Test and its opposing paper The Con-Test were the centre of much political discussion. Murphy's service for Henry Fox rewarded him with acceptance into Lincoln's Inn in 1757 through Fox's influence, after he had been refused entrance by both the Middle Temple and Gray's Inn presumably on the grounds that he was an actor. From this time on his legal and dramatic careers competed for his time. He was called to the bar on 21 June 1762, although he did not practice law for another two years. In 1765, Murphy applied himself to the practice of the law, pleading his first case in Trinity Term. He later acted as principal pleading barrister with Dalrymple. 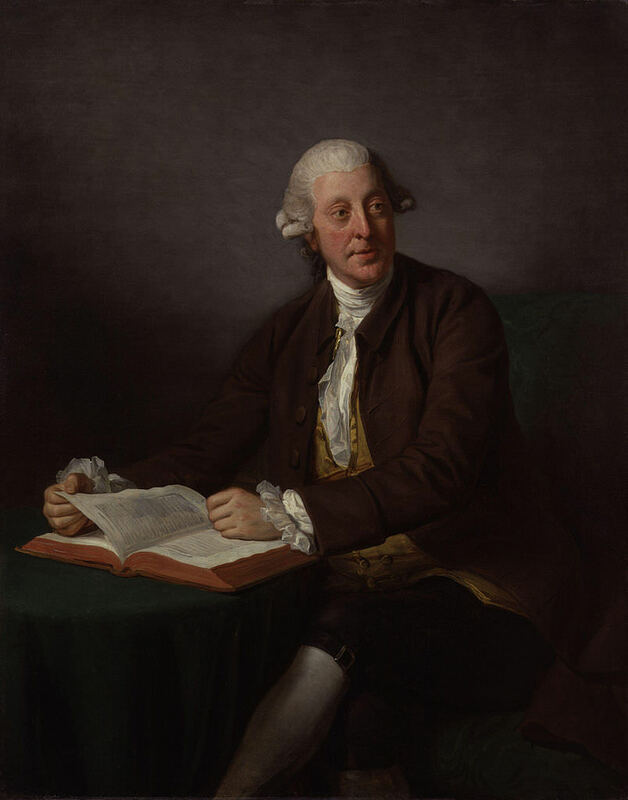 In 1774, most famously, he successfully represented the Donaldson v. Becket appeal to the House of Lords in 1774 against the perpetual possession of copyright held by book dealers on famous works such as Paradise Lost for "a Bottle and a fowl". The subsequent principle of non-perpetuity became known as "Murphy's Law" before the same adage came to the contemporary meaning of personal misfortune. In the same case, he is thought to have coined the legal term wilful misconstruction. Murphy retired from bar, through deafness in 1788, was Granted pension under George III and made commissioner of Bankruptcy in 1803. He died at Knightsbridge, London on 18 June 1805, and was buried at Hammersmith, London. His executor, Dr. Jesse Foote, also wrote his biography in 1811. Sir Joshua Reynolds 1770s oil painting, which is one of a set of paintings known as the Streatham Worthies - commissioned by Henry and Hester Thrale for their library at Streatham Park, and was bought by Sidney Green of London for £305,000 in 2005. The National Portrait Gallery also has a further two drawings of Murphy. 1. Goldsmiths, Lombard Street 1739-1756. Source: Handbook of London Bankers by Frederick George Hilton Price 1876. 2. First issue 21 Oct 1752. 3. Arthur Murphy: An Eminent English Dramatist of the Eighteenth Century, John P. Emery, 1946. 4. [John Stuart]18 was Prime Minister between 26 May 1762 and 8 April 1763. 5. The Test, nos. 1-35 (London: S. Hooper, 6 November 1756-9 July 1757). 6. [William Pitt]20 was Prime Minister between 30 July 1766 – 14 October 1768.